Since June 2013 the requirement has been for any potential whistleblowers to make their disclosure of information. This has been issued in public interest yet it is not a concept defined in a statute. The Employment Appeal Tribunal (EAT) has given some guidance which may be helpful in narrowing down the scope of concept. The Employment Appeal Tribunal has ruled that an employee, Mr Ibrahim, who alleged he was being defamed by rumours circulating that he had breached patient confidentiality had disclosed information with the intent to show a breach of a legal obligation. 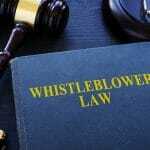 However, the tribunal ruled that he could not bring a whistleblowing claim as the disclosure was not made in the public interest. In Ibrahim v HCA International Ltd, Mr Ibrahim worked as an interpreter at a private hospital. He met with a senior manager to request that she investigate rumours amongst patients and their families that he was responsible for breaches of patient confidentiality. He followed up with an email to the manager after the meeting saying that he wanted to “clear his name”. For many years Mr. Ibrahim was working in a private hospital as a translator. 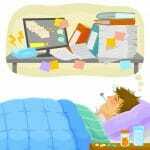 He was often given access to highly sensitive data of patients as he was required to translate in order to provide a better understanding of their conditions. He discovered there were rumours in the hospital of him mishandling this confidential patient data. When he found out about the rumours Mr. Ibrahim wanted to safeguard his personal reputation. He raised two different grievances regarding the rumours. Specifically, he was being made personally responsible for breach of confidentiality of patients. What makes the case more significant is the repeated reference by Mr. Ibrahim declaring his need to “clear his name”. The grievances made by him were not upheld and he was dismissed from his job some time later. The hearing at Employment Tribunal were actually never required to consider whether the dismissal was a result of filed grievance as it was found out that he had not made any protected disclosure in the first place. This was due to two major reasons. When filing a complaint about circulating rumours, Mr Ibrahim failed to make a disclosure of information which proved how someone had breached their legal obligations as per the Employment Rights Act. While he was not successful in his appeal, the EAT found that the scope of Employment Rights Act – s43B was way too broad to include any statutory duties such as the ones in Defamation Act 2013. While Mr Ibrahim did not use a legal term like “defamation” when raising his grievance, the description of his concerns were sufficient enough for the tribunal to link his disclosure to statutory duties. The EAT however found out that the complaint made by Mr. Ibrahim was not actually in the public interest and hence the decision was upheld by the EAT. It was disclosed that the sole intention of the grievance was to clear his own name which was evident with the matter of his grievance letters. The judgement made by EAT does not acknowledge the fact that as far as the letter is concerned, the claimant’s primary motivation should not essentially be a disclosure in the public interest. However, the EAT had found out that Mr. Ibrahim’s only interest in this situation was to safeguard his reputation from the effect of escalating rumours. While the counsel of Mr Ibrahim made a reference to how the complaints being made relate to the integrity of data protection, these submissions were rejected by the EAT on the basis that it was surely not on Mr Ibrahim’s mind when he filed the complaint. Hence, as a test for public interest was not satisfied, the claims made by Mr. Ibrahim were dismissed fully. There are two noteworthy points from this judgement. 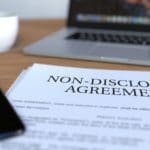 Firstly, the employers should be aware of the facts if there is a broad scope for employee disclosures that can fall within the confines of rules laid in the act. This has now extended to the situation where the employee did not specifically mention what legal obligations and they think were not being met. The same can lead to some extremely surprising results and the employers will do well if they are able to handle unhappy employees when they come up with their grievances. On the other hand, the judgement fails to make it clear that the employees who do wish to make a disclosure of information should be doing so only for their own personal interest. 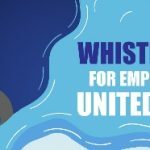 While the reality of the situation is surely that a myriad of disclosures will be made both in private as well as public interest of employees, it may also be used and manipulated by employers who do not wish to handle these grievances effectively. 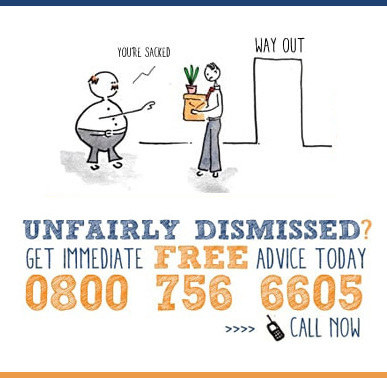 Our no win no fee Employment Solicitors can assist with all types of claims. Naturally, we pride ourselves on providing the best possible service to the highest standards, we offer employment law advice on all problems. Call us on 0800 756 6605 or 020 3923 4777.